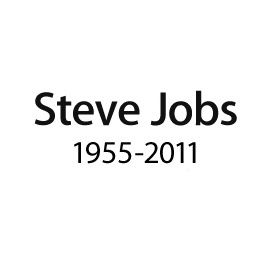 Much has been said already about Steve Jobs’ achievements since his all-too-early passing. There is no need to repeat a detailed assessment of his contribution to consumer communications or applied information technology. But the Micrognome cannot avoid a brief appreciation of a life dedicated to improving information design. All jobs well done, establishing the links between the problems and the problem-solvers in a global professional network. So it’s over to us now. The technology is no longer the obstacle. It’s up to us to work out how to best use iT to benefit others, whether it’s a matter of bridging the health gap in our own remote communities, neighbouring countries, delivering distanced education or just working out how to order a better cup of coffee. Thx Steve and the team at Apple…and now over to us.